for $125,000. 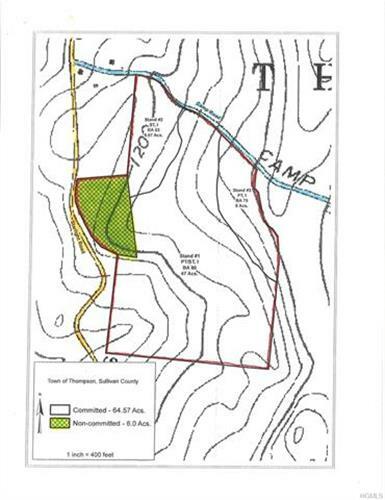 The lot size is 70.5700 Acre(s). Looking for your own hunting land? Looking for a great property to build your dream home? Looking for a lake to use your motor boat? 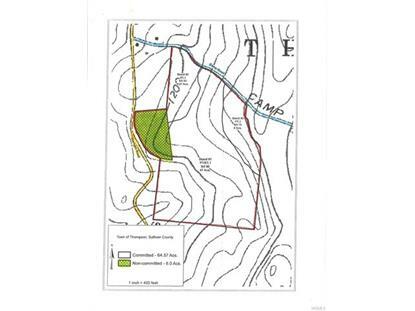 Come to Sullivan County on STARLIGHT & CAMP ROAD in the MOTOR BOAT FRIENDLY SWINGING BRIDGE LAKE AREA because this is the property for you! ~ This area is known for it's exceptional hunting and this property has 70.57 acres with which to do just that! ~ Great location only 5 minute drive to the Marina to launch your boat onto Swinging Bridge Lake ~ Bethel Woods for concerts 13 minutes drive along with other venues like the Catskill Distillery ~ Want a night at the Casino? Only a 16 minute drive! ~ Want to see an off broadway play? Take a 16 minute country road drive to the Forestburg Playhouse! Spend some relaxing time at the YO1 spa! Enjoy farmers markets, small town parades like Callicoons tractor parade, and eateries! This area has so much to offer! Be apart of the new Sullivan County!